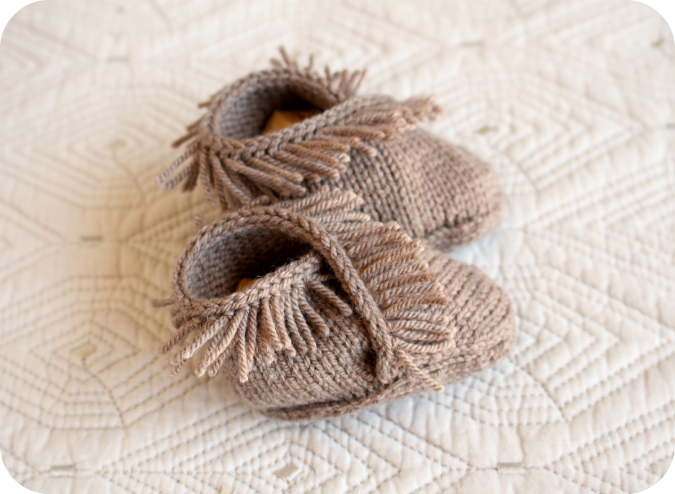 I simply could not resist knitting up these sweet tiny moccasins for a friend of mine who is expecting. 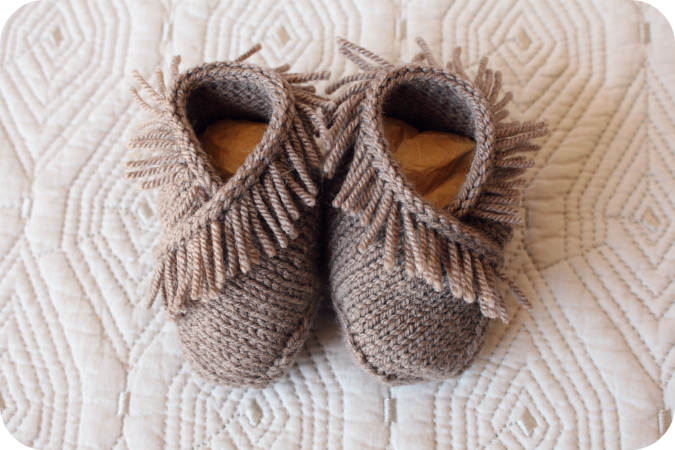 The pattern is called Welcome Mocs and is included in the adorable new booklet, New Guy, by designer Kate Oates. I used Quince and Co. Tern to knit up this little pair and it hardly took any time or yarn to make them! I could probably squeeze two more pairs out of the remainder of the skein. I am so happy with these cute little shoes. It almost makes me want to have another baby of my own... almost.